I'd be more than delighted to get a Modular Iron Man redo that allows you to emulate the suit's in-comic functions. The Marvel NOW! Iron Man was a disappointment accesories-wise since that suit is also meant to be a modular armor (well, that figure on its own was a big disappointment). The Bleeding Edge armor was similar in the “lacks accessories department” but it was a super dynamic figure. Was my favorite before the recent BP wave. Honestly if we get a Modular one soon, I’m not sure that I would buy another IM again. Unless maybe it was a War Machine repaint or blue stealth suit. I'd say only around 2014 Hasbro started giving Marvel Legends in general decent accesories, so the Marvel NOW! figure featured the standard amount of accesories (i.e. none) as Hasbro's past Iron Men (save for the MK XLIII with the alternate head). I think that an Iron Man without accessories stands out more since he's the kind of character whose figures are really elevated by accessories and effect pieces. Additionally, the Marvel NOW! in-universe has "accessories" so there was an additional reason it should've come with a little something extra. 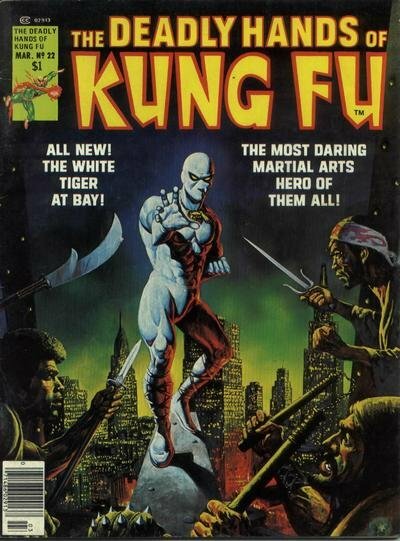 Another character that is long over due & shoulda been included in the recent Kingpin BAF wave instead of that Gawd awful symbiot Goblin is the original White Tiger Hector Ayala. Hasbro just has to use the classic Black Panther buck with Blizzard head, sculpt new lower legs & bam, The White Tiger lives. He along with a classic Tarantula need to be done either in a vintage wave or Spidey related wave. A Tarantula would be amazing. The Red Goblin was a super strange inclusion. The whole wave was lackluster minus Kingpin, but Red Goblin felt like they just threw in a red symbiote to throw in a red symbiote. I guess his value on the secondary market would argue that there was some demand for him, but the design was very odd. Red Goblin along with the vast majority of non Venom symbiots will be long forgotten in yrs to come. Just a phase. Marvel nowadays just throws any new Spider related character up against a wall & sees if it sticks. They have a great abundance of classic Spider villians in which they can write stories about but they choose to go with the flavor of the month & ride it it to death. When was the last time Marvel writers wrote a Spiderman vs Tarantula, Spidey vs GG, Spidey vs Tombstone, Spidey vs Kraven or the Rhino? It's been at least since the early 2000's that I have seen a relevant Tarantula story. I feel like the only reason Doc Ock has still stuck around in the comics as long as he has is due to the resurgence of his character in Spider-Man 2, and then later in the Superior comic run. I agree though, Marvel is all about hitting those nostalgia buttons in certain aspects but completely ignores some of the more obvious ones. By "Spider-Man vs. Kraven story" I think you mean something like the "Hunted" story arc that is currently going in Amazing Spider-Man as we speak in this very same moment. The Red Goblin qualifies as a Spider-Man vs. Green Goblins story since the Red Goblin is just the Green Goblin with the Carnage symbiote. Nick Spencer's new Spider-Man run has seen a reemergence of classic characters like the Lizard, Black Cat, Scorpion, Rhino and the aforementioned Kraven. Spencer has even used lesser known villains like Mendel Stromm, the Tri-Sentinel, and Big Man. I think we already went through stuff like this, but as a small suggestion, it'd be better if you actually were up to date with what's currently going on in the comics if you want to complain about them. At least superficially. A google search or two won't hurt. A Tarantula would be amazing. The Red Goblin was a super strange inclusion. The whole wave was lackluster minus Kingpin, b﻿ut Red Goblin ﻿felt like they just threw in a red symbiote to thr﻿ow in a red symbiote. I guess his value on the secondary market would argue that there was some demand for him, but th﻿﻿﻿﻿﻿e design was very odd. Red Goblin was a pretty hyped-up character in the months leading to his debut. Amazing Spider-Man sales went through the roof (more than usual) because of that. He was the central focus of Dan Slott's final and climactic Spider-Man story. It makes sense why he and modern Symbiote Spider-Man were there, they were topical and a pretty big deal. Personally, I like Hasbro making topical figures. I get it, I never read a ton of the Spidey books, and like I said the demand definitely exists for him. I just would have rather seen someone else get that slot on a personal level. Thank you for the insight though. Outside of what I read quickly on Wikipedia about him, I knew very little of the character. Outside of the ToyBiz Legendary Rider and the movie version, we have never had a true Vengeance figure right? I would imagine that would be low hanging fruit considering how many of the parts now exist to make that figure. I didn't point out that Gmen wasn't up to date with the current Marvel storylines because of his lack of knowledge on the Red Goblin. It was because he was complaining about the lack of use of classic Spider-Man characters when the current run constitutes the polar opposite of that idea. To boot, to prove his point, he pondered how long has it been since Marvel made a Spider-Man vs. Kraven story... when there's a Spider-Man vs. Kraven story going on right now. And if that wasn't ironic enough, this Spider-Man vs. Kraven story also features plenty of other classic (and "classic") Spider-Man villains, like the Vulture, Rhino, Stegron and... Tarantula. I'm not trying to argue that the Red Goblin wasn't a flavor of the month villain. After all, he did only last for the entirety of the storyline that introduced him. He wasn't created to be a long-lasting Spider-Man foe. He was just some dynamite Slott used to end his run with a bang. The figure was created when the character was relevant, so what's the problem with that? If they didn't make the figure right then, it probably would never have been made. Yes, they could've used Red Goblin's spot for another character, but the time for a Red Goblin figure was right then because that's when he was relevant, whereas the time for a White Tiger figure is pretty much anytime since he's never been relevant. 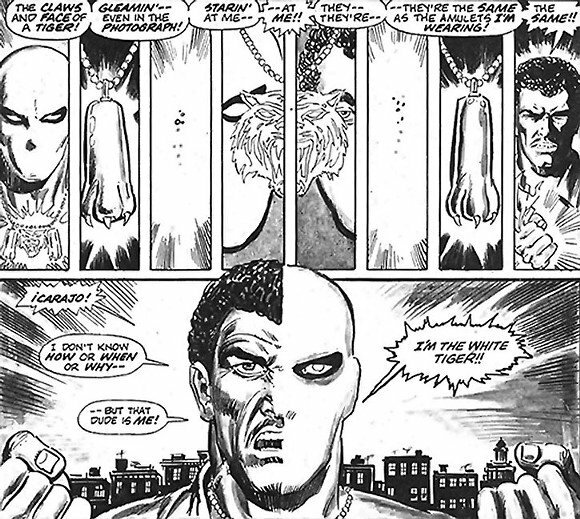 This logic also allowed me to get one of my all-time favorite versions of Wolverine as well. (Old Man Logan) I understand the flavor of the month/capitalizing on current books and trends but I just feel like he wasn't a great fit for the wave regardless of timing. I'm excited for those fans that were able to get him, but I have to agree that he won't be as relevant in a few years as an Old Man Logan will be. You never know, that's the thing with the costumes and characters Hasbro pick, they could be around for years or just one story. I quit collecting comics in 2007, so yeah, I'm not up to date on todays comics except for the fact that the art for the most part looks like 8yr olds are drawing these issues & the storylines just either are re-hashing older storylines or involve too much political views of the writer which I don't buy comics for. 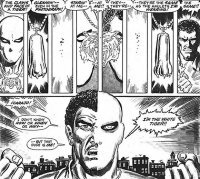 Stan Lee wrote issues based on the politic of the time such as the X-Men who were a reflection of racial oppression of the 60s, but he didn't shove it in your face like today's writers tend to do. I loved reading comics to escape the real world, not be reminded of it. I just wanted to read a good Avengers vs Ultron or X-Men vs Sentinels 2-3 parter & then go on to another 2-3 part issue involving another bad guy. Claremont & Shooter wrote awesome solo issues or 2-3 parters on a yearly basis, now these writers try & write year long storylines that just drag & drag. I enjoyed 12 issue yearly events once a yr, now it seems like they occur 4x a yr or more. And the fact that comics now go for $5 + is straight up crazy, you expect me to believe that young kids under 15 have the cheddar to be buying tons of comics every month at $5 a pop? Highly doubt it. This Red Goblin character will be a footnote in comic history & people that bought the fig will be selling it off for the price of a comicbook in a few yrs. One of the most famous story arcs in comic book history was just a 2 parter & made 39yrs ago & just had a movie loosely based on it a few yrs ago in the X-universe, I don't think I have to say which story arc I'm referring to. The Dark Phoenix saga was around 5 issues long & also a classic. I consider Claremont/Byrne the best writer/artist team in comics history. Their IF run was great, their Marvel teamup run was great & their X-Men run has yet to be matched imo. Shooter/Perez runs a close second for me. I'm hoping that either with this 80th anniv line & vintage line, that we start to get classic characters that have yet to be done & long overdue or need a re-do as their Toybiz version no longer stands the test of time. I think it's a slap in the face of long time comic book readers that are also ML collectors to see a flavor of the month character get a figure while a character that's been around 40-50yrs has yet to be done. 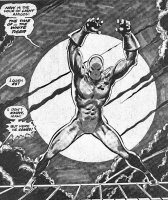 Oddly enough I agree with your Claremont/Byrne statement. DoFP is a series that I have read a lot and never tire of. The same can be said for a lot of Claremont’s Wolverine stuff. Did you ever read any of Remender’s Uncanny X-Force run? They did a great job of running 3-5 issue stories that involved some names from the past (and some new) while keeping the story entertaining. The price inflation on comics is mindblowing. I was buying pretty heavily through about 2010 and had to stop after AvX because it was so pricey. Not to mention that there are 50 variants for big issues now. I love the idea of getting my kids into comics once they are a bit older, but at the $5 price point, they won’t be bringing home any longboxes any time soon. i really hope you are right for the 80th series. It’s absolutely insane that we are just now seeing a classic Thor. Scratch the part that follows the "except." You're not up to date, period. Say whatever you want about the writing, but don't do such an ignorant disservice to so many skilled artists that are currently working in the industry. There are some bad artists here and there, but the vast mayority are good. Do yourself a favor and google Russell Dauterman, David Marquez, Valerio Schiti, Stefano Caselli, Joe Bennett, Ryan Stegman, Mahmud Asrar, Paco Medina, Mike del Mundo, Mike Hawthorne, Pepe Larraz, Sara Pichelli, Javier Garrón, Shaw, Jesus Saiz, Mike Henderson and I better stop here before I turn this into a laundry list. Artists like these are what actually represent how do comics look right now. Not whatever bad artist you just happen to stumble upon on the whichever part of the Internet because you don't actually read comics. I'm right there with you my friend. I quit right about the time it started getting all political, specifically when they took the lazy route and instead creating new characters and stories that had all the qualifications for the social issues they were trying to address, they just ousted characters we loved (Thor, Cap, Wolverine, etc.) and replaced them, basically forcing us to love them. I'm not saying these issues aren't relevant, but being force fed and preached to was not what I signed up for and I sure wasn't gonna shell out $5 a pop. I've often been accused of getting too political, but I'm actually advocating for less politics in out entertainment, but I got "the talking to" from the big man in charge so I must censor myself from now on. That being said, I never just quite cold turkey. I still picked up some comics and stories and just avoided the ones I knew were gonna be all in your face, then I just joined Marvel Unlimited and though they're a few months behind I could study up on a book before buying it and getting blindsided. Plus you get in on those exclusives, as lame as they are. As far as the vintage waves I'm really hoping, with the specific aim the X-Men vintage wave took, that they are gonna become more character or team specific. Something like Iron Man vintage wave with Mandarin, War Machine, Blacklash, Crimson Dynamo, Silver Centurion IM and Stealth IM and such would be a great way to fill some holes, and though some people aren't keen on the whole attachments gimmick, I'm all for it. Throw in some clip on parts that are compatible with several Iron Man figs, I pledge my dollars now. I could see an Avengers wave with Modern Thor, Modern Cap, Falcon, Classic Herc, Freakin' Tigra (yes, it will be the toned down version, but whatever). That would be the best way I could see for them to fill a lot of these needs that have had to take back seat to the fulfillment of the MCU commitments. Hulk vintage wave would be awesome but as I've said many times, the sheer size that most figures would require would make this line as a single card figure only line virtually impossible. Still, there needs to be space found for characters like Doc Sampson, Leader, a "better" She-Hulk and Joe Fixit. I think the vintage line was made primarily as some kinda non specific, undefined wild card, specifically so they don't have to stick to a particular criteria and address some outstanding wants and needs from ML. Whatever the case, it has so much potential. I would definitely like to see a Hector White Tiger and a classic-ish Tarantula figure, but i feel like both of those could easily be done in a spider-wave and would probably sell better there (with a BAF piece to boost sales) rather than in Vintage Wave. Vintage wave 1 was a nice way for me to pick up figs that i missed the 1st time around like Wolverine and Punisher (and i'm sure a lot of people grabbed Spidey as well), but Vintage wave 2 was much more impressive to me since it didn't feel like just repackaged leftovers even if there was a ton of re-used parts in those figs. Also liking the looks of the x-vintage wave, especially Silver Samurai and Dazzler. Obviously there are still reveals for that wave coming, but i feel like there are enough x-characters that they could manage another one... would like to see another take on Iceman and would like a re-release or repaint of Rogue, or a Phoenix (and/or Dark Phoenix) re-release. Hulk vintage wave would be awesome but as I've said many times, the sheer size that most figures would require would make this line as a single card figure only line virtually impossible. Still, there needs to be space found for characters like Doc Sampson, Leader, a "better" She-Hulk and Joe Fixit. I think the vintage line was made primarily as some kinda non specific, undefined wild card, specifically so they don't have to stick to a particular criteria and address some outstanding wants and needs from ML. The all Hulk wave from the first run of Hasbro Legends was awesome. And they were all pretty good size (with a Fin Fang Foom BAF!!!) andd were single carded. I would imagine they could do this for sure. The pricepoint would likely be closer to the Anniversary series, but I bet they would sell well. Getting into the side topic, i don't really collect comics anymore mostly due to the price, just felt like i wasn't quite getting enough bang for my buck anymore and i was happy enough borrowing trades of newer runs from the library. The library has been my saving grace lately. I have been able to catch up on Saga, re-read some classic Hellboy, run through the entirety of Preacher, and now I am reading Batman Black and White. All for free!!! This is definitely the best approach for those on a budget or spending their money carefully. If your library is anything like mine, you can submit recommendations for new books to purchase as well.